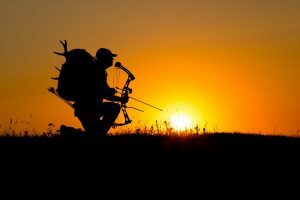 Bowhunting big game requires more patience to get within shooting range than hunting with a rifle does. As with rifle hunting, the tactics of calling, stalking and spotting, and ambushing can all be effective. 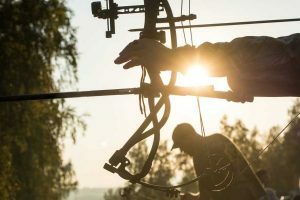 For an ideal calling set-up when bowhunting, place yourself in an area where the animal will feel secure and not hold up outside your shooting range. 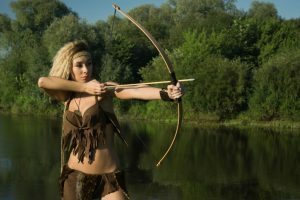 Such areas include small openings no wider than the effective shooting range of your bow. The same principle applies to thickets or other areas where your quarry has no escape route from predators. Try to make it easy for the animal and call from a place where the path of least resistance intersects with your shooting lanes. These approaches differ from rifle set-ups, where the hunter can see for hundreds of metres in multiple directions, but they should result in a quality shooting opportunity as the animal approaches. You’ll need good cover with an accompanying favourable wind, and a patient, calm animal. Other times, the animal may be lying in the middle of a field, providing you with no ground cover to get close enough. 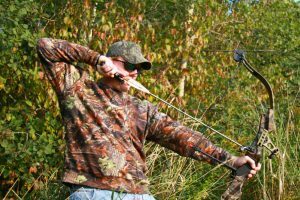 You also need to keep these considerations in mind when hunting with a rifle, of course, but they become all the more important when you have to close a significant distance to reach your effective bow range. To swing the odds in your favour, make sure you have the following factors in place before attempting a stalk: cover right up to your shooting location; a favourable and consistently strong wind; and a relaxed animal that will give you enough time to complete the stalk. 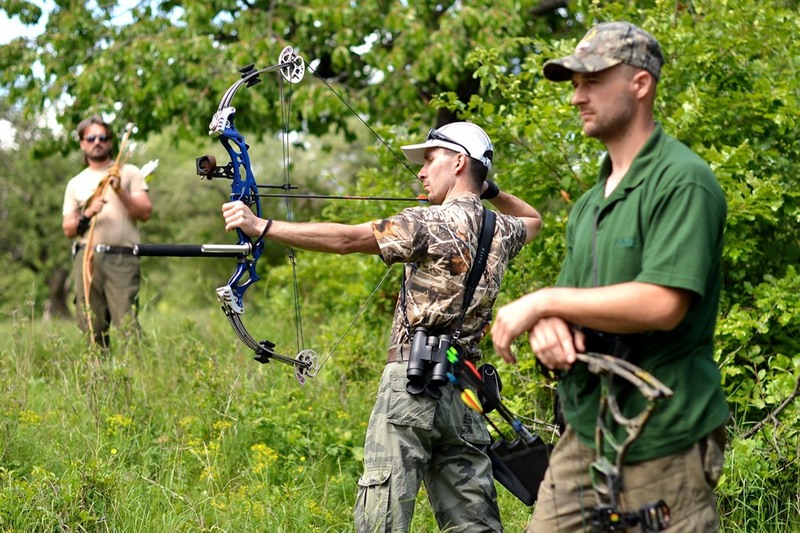 That makes clear shooting lanes a must for bowhunters. 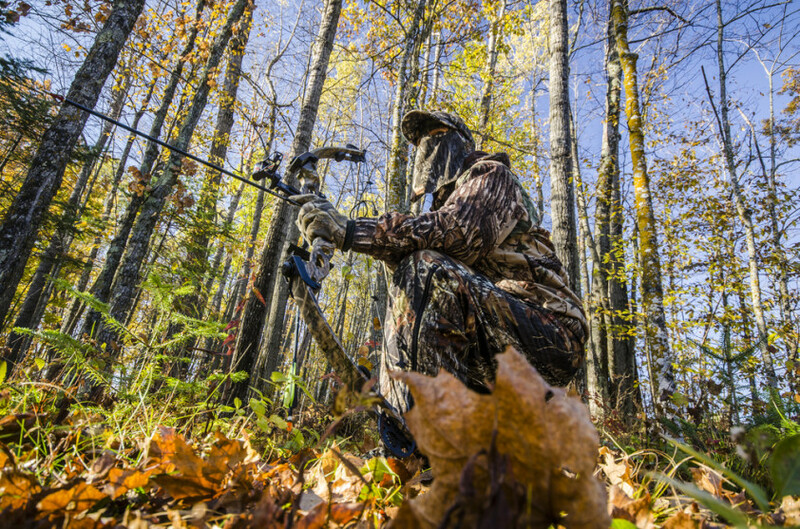 When planning to ambush game from a treestand or blind– a common bowhunting method– you have the chance to clear shooting lanes well in advance, so take full advantage of it. 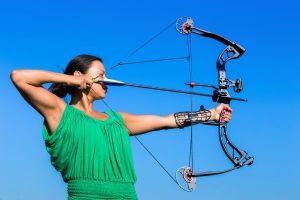 Often, clearing away any potential interference will provide many shooting lanes from the same fixed position, increasing your chances of success. 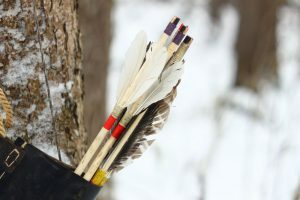 Knowing the distance is crucial to making the shot count with an arrow, so pick shooting lanes with easy-to-remember reference objects as distance markers, such as trees, rocks or brightly coloured flora. When selecting a spot to place your blind or treestand, avoid the edges of openings, as these are really only suitable for rifle hunters. With a little clearing of brush, you can usually create a variety of shooting lanes to deal with most scenarios.. and give you a clear shot when your quarry finally shows up.